Mother's Day is this weekend and ton's of mothers are scrambling to find time to touch up their roots - think of all the photos! 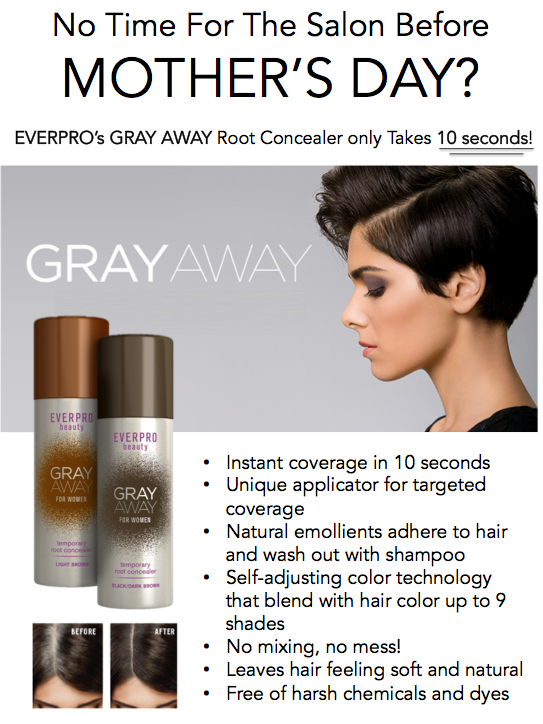 EVERPRO Haircare has just the solution, and it only takes a few seconds. GRAY AWAY is a fast, easy, and safe way to extent the life of you salon color. Just spray and go! Gray should go away for Mother's Day. You may also be interested in learning about Mother's Day fragrance gift ideas if you have not yet purchased a gift for mom.